Tenerife has deservedly retained its reputation as a paradise isle over the years, renowned for its beautiful beaches, breathtaking scenery and temperate climate. Situated in the Atlantic off the coast of Africa, Tenerife is the largest of the Canary Islands, formed by a series of volcanic eruptions millions of years ago. 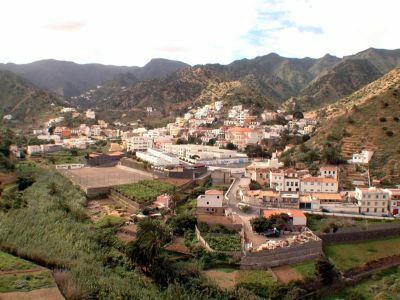 A mountain chain runs through its centre from Anaga to Teno and on both of its slopes there are large, exuberantly fertile valleys, among them, La Orotava and Gumar. In the heart of the chain lies the third largest volcano on Earth, Las Cañadas del Teide, an official National Park. North of the crater stands El Pico del Teide, the highest peak in Spain. Tourists have flocked to Tenerife for more than 100 years, attracted to the islands exotic black beaches, breathtaking landscapes and iconic Canarian towns. Despite the ever increasing population of holiday makers and foreign home owners on Tenerife, the island has retained much of its traditional charm. Like the rest of the Canary Islands, Tenerife holidays has a multinational environment resulting in a blend of art, architecture, culture and food. The warm weather allows for an outdoor lifestyle with plenty of beach activities and spots such as roller blading, skate boarding, surfing, wind surfing, Tennis and Golf. The people of Tenerife love to party and there is always an excuse for a celebration! Fiestas are usually associated with the celebration of saints' days and religious dates where locals and visitors can enjoy the parades, stalls and folk dancing. You will never be bored in Tenerife! Known as the Island of Eternal Spring, Tenerife has the lowest temperature difference between summer and winter for anywhere in the world. The average daily temperatures reach around 24 degrees in the summer and drop to around 18 in the winter months. The island is divided by the mountain range resulting in a hot, dry climate in the south and a cool, tropical paradise in the North. The temperate climate and cooling breezes created by trade winds allow for afternoon golf, tennis, and walking all year round, while the coastal resort of El Medano is a Mecca for fans of water sports.